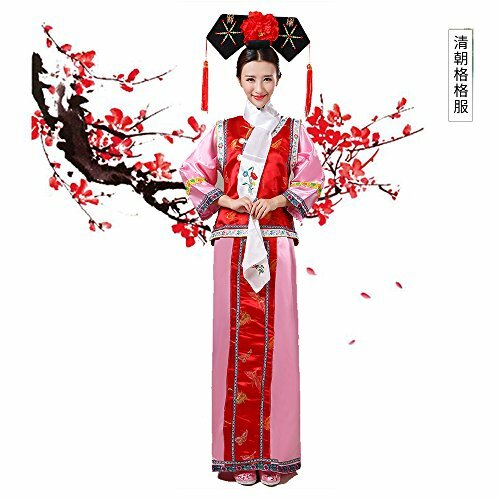 The Qing Dynasty Costume/The Princess Dress/Ancient Chinese Cosplay/Emperors Clothing/New Year's Dress/Halloween Costume/Campus Party Dress/Bridal Gowns/Spring Festival/Traditional Clothes + Hat/R-3 by 7Ancient-Chinese Aristocracy at Designers Artists. MPN: 2000075. Hurry! Limited time offer. Offer valid only while supplies last. If you have any questions about this product by 7Ancient-Chinese Aristocracy, contact us by completing and submitting the form below. If you are looking for a specif part number, please include it with your message.